If you follow me on Insta Story or Snapchat, then you might already have caught on to the fact that I love having my friends over. 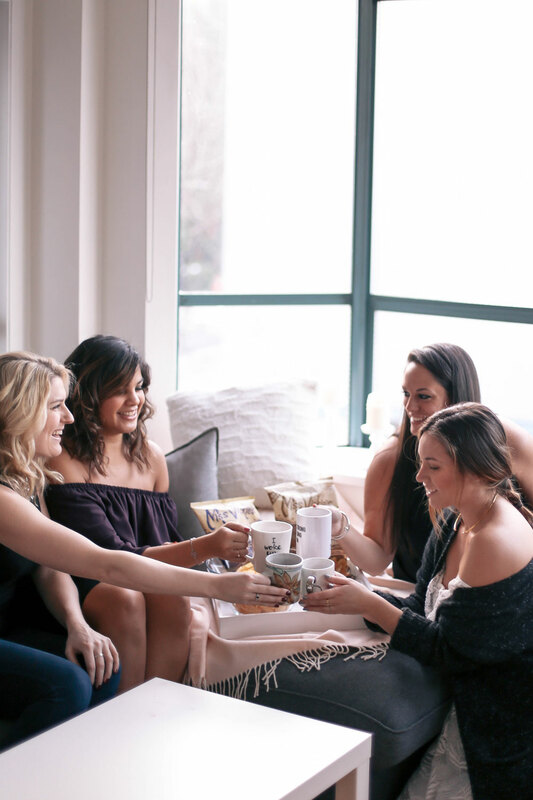 Whether it’s a girls night, a movie marathon or a more, shall we say, “spirited” shindig (like our Christmas party this past weekend! ), I’m always game for having my favourite people chez moi. Based off of my parents and their many parties, I think it’s safe to assume it’s a family thing too! Both from years of having these impromptu get-togethers and learning from the parentals’ seasoned expertise, I’ve got a couple tricks up my sleeves now to ensure hosting’s a breeze and not a major stress fest. And on that note, can we all just agree that as much as you appreciate your host going to so much effort to make sure everything’s perfect, I’d always much rather have a host that’s in on the action and laughing and having fun than one constantly in the kitchen. That’s why I always make sure I pick up easy but tasty snacks. 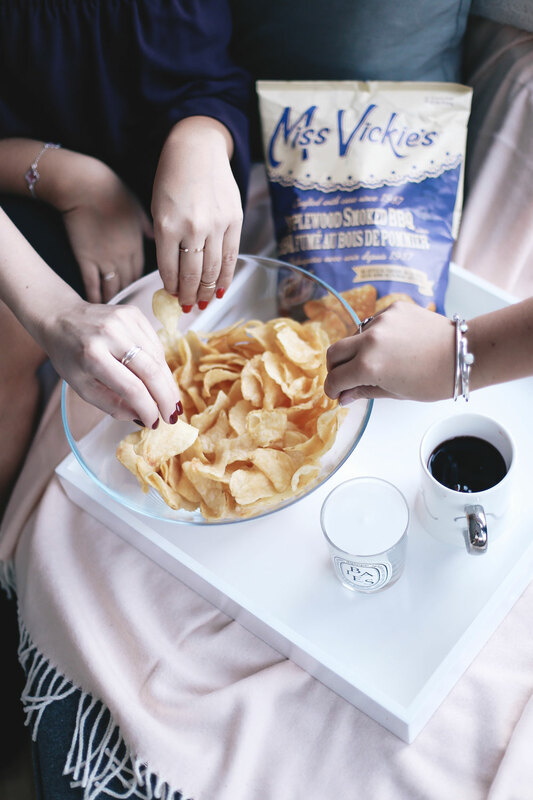 Miss Vickies have been our go-to’s for as long as I can remember and for every occasion—if I’m going to snack on chips (so, movies, parties, especially gloomy rainy days, etc), they’re the ones I always default to. 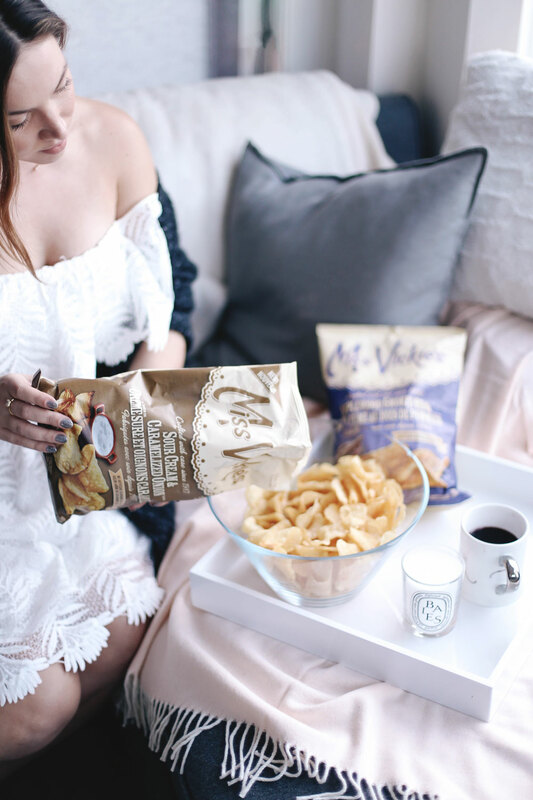 My go-to has always been Salt & Vinegar, but Miss Vickies has two new flavours! The Applewood Smoked BBQ and Sour Cream & Caramelized Onion, and they are beyond—such a hit this past weekend! Inspired by my papa (who’s quite a bartender), I also always aim to have two signature drinks on hand throughout the night, which not only is a nice touch for your guests when they walk in the door, but you can really play into themes this way without having to go overboard on more time-intensive decorations or dishes. The trick is to make them in big batches so that when your guests are over, you’re not trying to make one for each guest (and if they’re good, you’ll be getting a lot of requests!). For this year’s bash, I had a couple pitchers of crantini chilled in the fridge with fixings (lime slices and cranberries) set but was really hoping for something especially festive too. Cue in the mulled wine! I’m sure you’ve seen my slow cooker obsession over on Snap or Insta Story (I seriously use it at least once a week but usually even more around this time of year)—it’s honestly one of the best culinary inventions ever. Throw everything in one pot, stir once or twice and have it be more favourable and delicious than you could ever hope for after simmering away while you’re out running errands or at work—what more could you ask for? Following the signature Miss Vickies mulled wine blend, I used Woodbridge’s Cab Sauv to create what everyone assured me was the best mulled wine they ever had. In fact, I have the recipe below so give it a go (and my personal suggestion, try it in the slow cooker so that you can throw it in around noonish and let it slowly simmer all day! ), then let me know your thoughts! Other than easy tasty snacks and incredible drinks, make sure you’ve got the right mood set decor-wise. 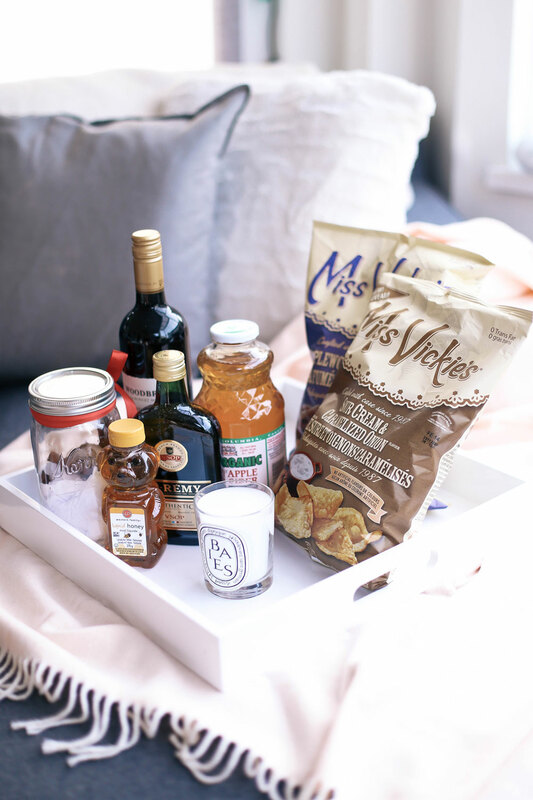 Doing a cozy girls night in? Luxe throws, yummy smelling candles and pretty lighting are perfect (though this works well for a romantic night in, but let’s get real, at least in my group my friends are my #lifepartners so same-same), though a more energetic bash needs some fun colourful decor, cleared out spaces and maybe some strategic seating if you’ve got games on tap. 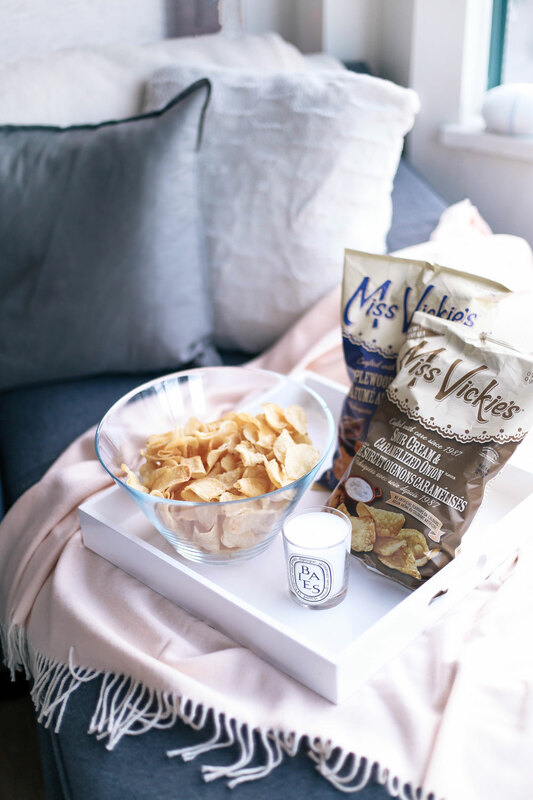 I’ve got to say though, as mentioned above a cozy girls night set-up is also perfect for a night in for two, so if you’re burnt out on hosting duties, you can unwind and give yourself the gift of a night in with the Miss Vickies chips and mulled wine, cozied up under the blanket with your special someone. But back to the party planning! 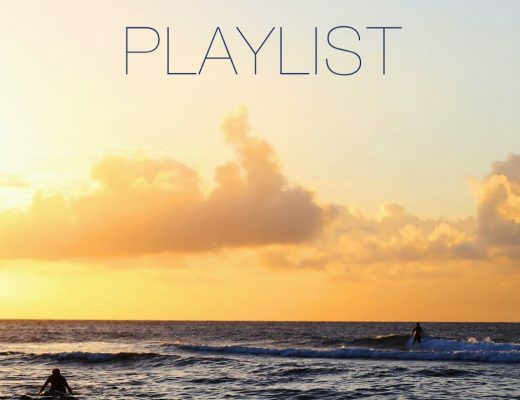 So the last tip is a pretty important one—have a couple party playlists that are on hand for whatever occasion you need (a casual get-together, some people-pleasing ‘90s hits for more raucous bashes or festive ones) so that you don’t have to worry about finding a good playlist once your guests start pouring in. Just whip out Spotify (or iTunes, or Songza) and hit play! 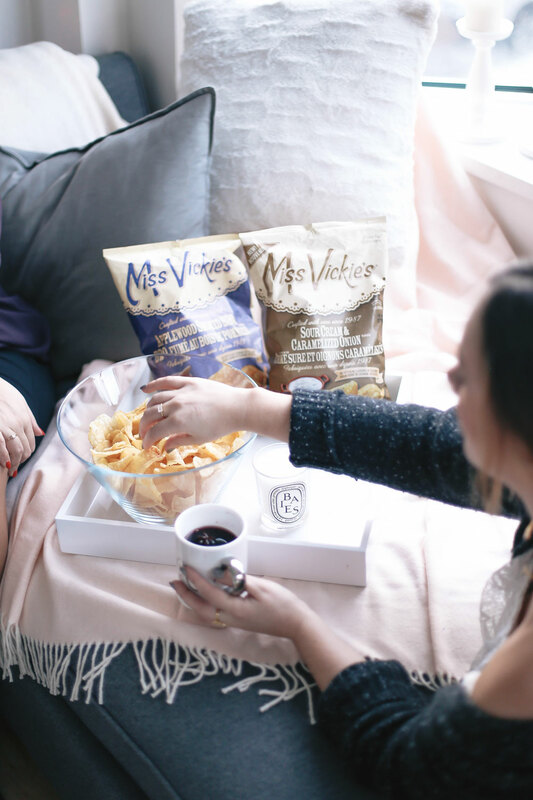 What holiday parties do you have on the go this year? Tell me in the comments below and if you have any specific requests, I’ll try my best to get to some tips ASAP! If you’re doing this on stovetop, bring contents to a simmer over medium-high heat and then reduce to medium-low, letting it simmer for at least 15 minutes. If you’re doing this in the slow cooker, feel free to double, triple, quatruple, etc all ratios depending on the size of your cooker. For best results, put the slow cooker on low and let it simmer all day (7-8 hours), though if you’re starting a bit later, you can put it to high and keep it going until your guests come! 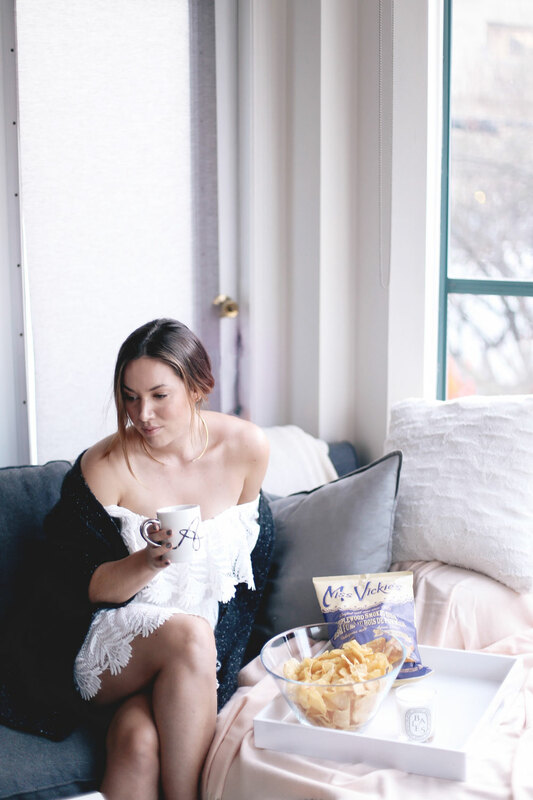 This post was created in partnership with Miss Vickies but all opinions are my own.